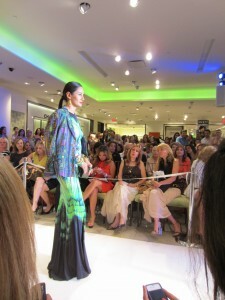 Local fashionistas convened all over town last night for various Fashion’s Night Out (FNO) events. I found myself amongst friends at Neiman Marcus La Cantera. The affair was glittered with socialites, industry peeps, bloggers, and other fashion lovers. 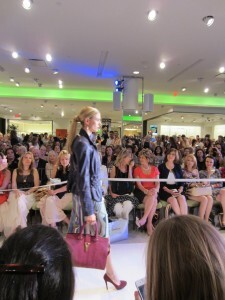 I made my way to the runway and claimed a second row seat – anxiously awaiting the small thrill of a runway show. 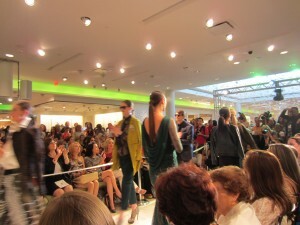 I could not help but to reminiscence about my trip last Fall to New York Fashion Week. This was nothing compared to a fashion week show, but it sure offers a nice fix. 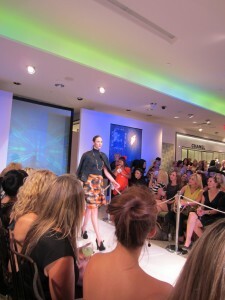 A few minutes later the show begins, highlighting the top trends for Fall. Below are some of my favorites, along with vinous wine pairings of course! This trend is wild and has no reservations, that’s why I choose a sassy Shiraz to compliment this trend. 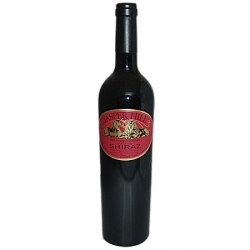 Check out the Jasper Hill Shiraz Heathcote Georgia’s Paddock 2005. I love green, it’s my favorite color. Now, apparently I can wear every shade I own all at once. Sweet! Since green reminds me of plants and the earth, I can’t help but to think first of an old world Pinot Noir with earthy notes on the palate. Yes, that bodes quite well with this trend. Brooches – They are Back! Although I’m not off to Fashion Week this year. I quite enjoyed this fashion affair in San Antonio. The crowd was buzzing, and local business were abounding, including Mercedes Benz, The Society Diaries, OCHO, Bohanan’s, Sustenio, to name a few. The food was fun, the drinks were ok (no wine was in sight – a major disappointment for any oenophile). So, I enjoyed some bubbly and a cocktail from Bohanan’s. I suppose I can’t complain…. VIDEOS: I have several short videos from the event that I will share in my next post. Stay tuned!